CSA Legal is a full service law firm of young & dynamic advocates who are committed & dedicated to legal work. CSA Legal has two partners and five associates who are handling their respective role in the firm with Excellency, accuracy and commitment. 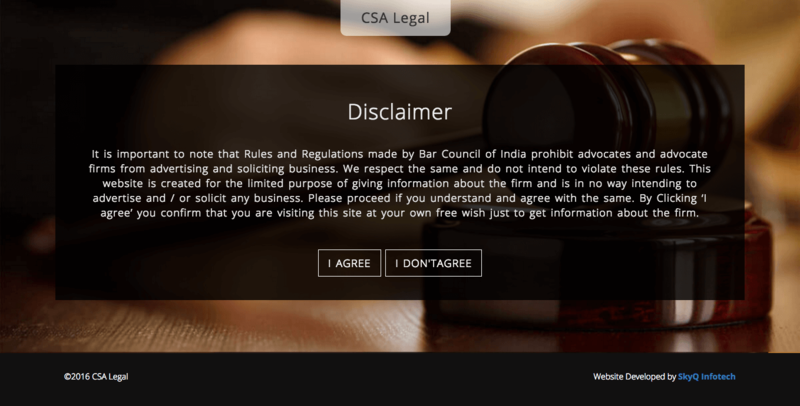 In CSA Legal they emphasize on clear understanding of problem, in-detail research, evaluation of various possible solutions and finally selection of most suitable solution.